Mohammad Bozorgi’s The Maker (2014), Soul Mate (2014), and Karma (2014) will be featured in the Sharjah Calligraphy Biennial. 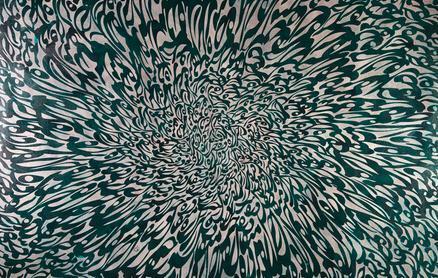 The event is renowned for illustrating how forms as simple as letters unite the Middle East and North Africa, serving as a profound type of artistic expression while reflecting its cultural origins. Exhibition will be on view from from 6 April until 6 June.